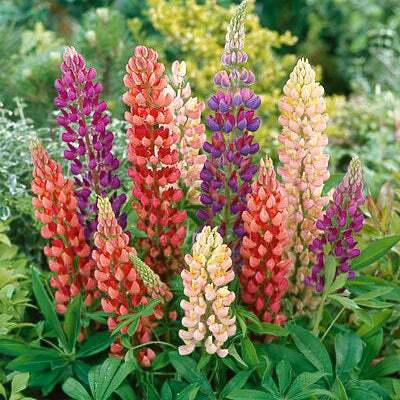 Everybody loves lupines. 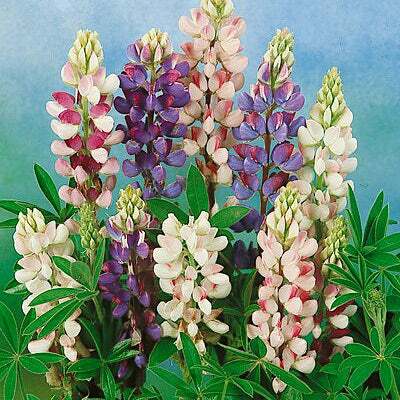 And this new mixture gives you five different ones in a rainbow of colors--three quick-bloom annual species plus two famous, dependable perennial lupines for big bloom, year after year. 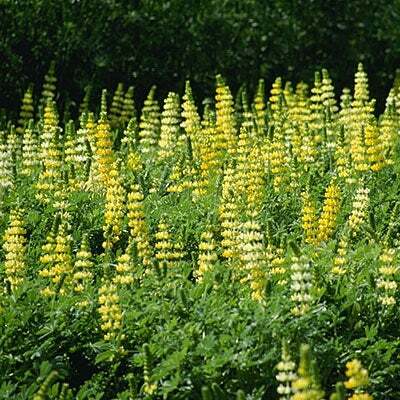 Bloom begins the first spring with the early bloom of California's famous Yellow and Sky-blue Arroyo Lupines--two easy-grow annuals that light up any garden. 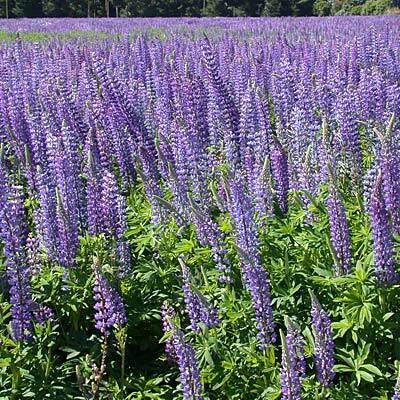 Then you'll see Lupine "Pixie Delight,"a third annual that blooms in an array of color for most of late spring and summer. Meanwhile, the two perennial lupines in your mix are making root growth and small leaves for plants that will bloom your 2nd year with this mix. 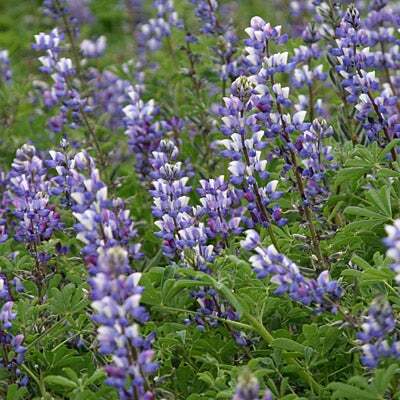 Starting in late spring, you'll see the deep blue of Wild Perennial Lupine, and soon after, the reds, creams, light blues, yellow, and other bi-colors from the Russell Lupines that are the garden favorites. These two perennials will bloom for you year after year with ever expanding clumps. More about each lupine: If you'd like more detail about bloom times, height and other details on all lupines included, click here to visit our lupine species listing page. You'll find more photos and info on each. 1/4 LB covers 250 sq ft.
1 LB covers 1,000 sq ft.